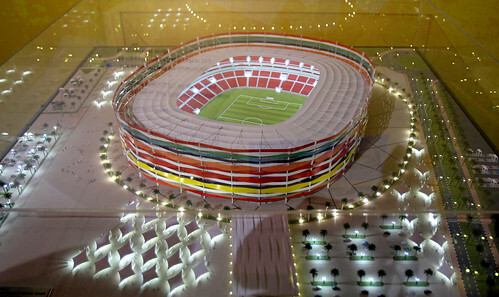 Here are the pictures of the 11 upgraded/proposed stadiums. They look gorgeous. By anonymous• 8 years 4 months ago. By reysaj• 8 years 5 months ago.  let me be part of your construction company. I would love to be part of this event. @Akheats: look at the votes from people that supports Qatar, that's astounding! 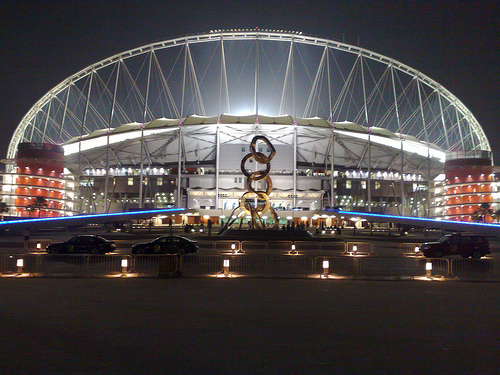 @flanostu: I assume Qatar has big budget for the FIFA's account. 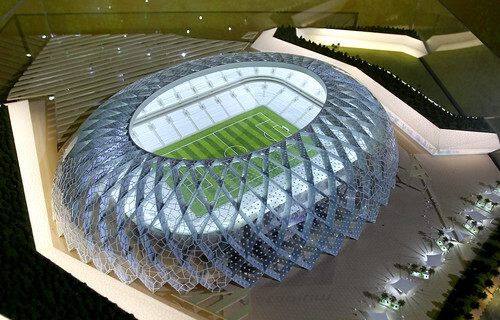 Its just a fraction of the cost of the proposed stadiums. By anonymous• 8 years 5 months ago. hope they can make it!!! By Reds_Heart• 8 years 6 months ago. 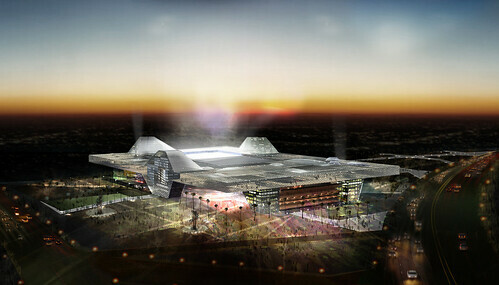 These prospective photos are amazing.The concept design of all stadiums are also tremendous and fascinated. I'm look forward to dedicating on the construction of them if possible. FIFA committee, you better give Qatar a chance. By suzain• 8 years 6 months ago. These pics are really gorgeous. By flor1212• 8 years 7 months ago. it's okay, there is still LEFT! By anonymous• 8 years 7 months ago. LOL Susan Chang.. Qatar is way more liberal than China. Now that's a statement I never thought I will make while comparing Qatar to any other country. By s_isale• 8 years 7 months ago. Looks like China was a liberal country. By edifis• 8 years 7 months ago. And a vodka in a Palm tree! By Ice Maiden• 8 years 7 months ago. what about access to and from the stadiums? By ashmusiclover• 8 years 7 months ago. By britexpat• 8 years 7 months ago. By Eagley• 8 years 7 months ago. By verisimilitude• 8 years 7 months ago. when FIFA leaves, the models would be shipped to the next bidding nation so they can make minor color variations and enrich THEIR bid.... haven't you learnt anything? By goono_uk@hotmail.com• 8 years 7 months ago. 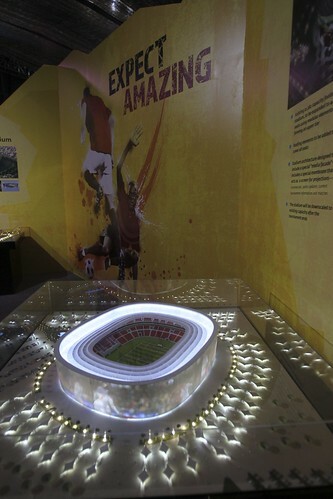 Guys, anybody know whether the bid exhibition and models etc at Aspire will be open for the public to see after FIFA has gone? Parking can be on the approach road and from there a mono rail service or underground rail service right upto the seats. By LostInSpace• 8 years 7 months ago. - Ramada car park and VD! By GodFather.• 8 years 7 months ago. By aqua1979• 8 years 7 months ago. By aneehs• 8 years 7 months ago. 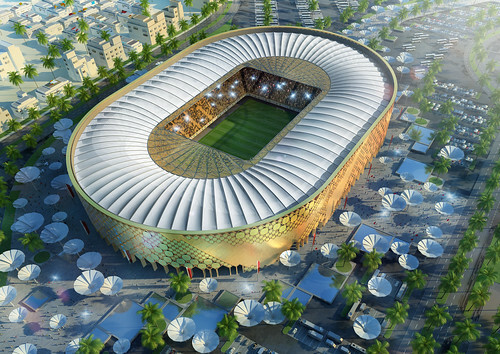 Already FIFA hint that Qatar may be too small to host 2022 world cup.But Kudus to Mohammed bin Hamad bin Khalifa Al Thani who is doing his best to win the bid.I hope Qatar will qualified for WC 2022 so they can prove what a tiny country can do? By flanostu• 8 years 7 months ago. on the 12th day, qatar finally realised that have no chance. By akheats• 8 years 7 months ago. By diamond• 8 years 7 months ago. 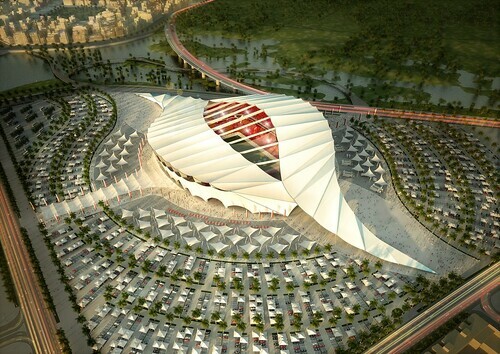 It is as many other countries have done in their efforts to stage a major world sporting event...and not forgetting that Qatar is an extremely generous country, giving many billions for worthwhile causes each year. By Mr. Doha• 8 years 7 months ago. By gudone• 8 years 7 months ago. By blue_rose• 8 years 7 months ago. By jack9999• 8 years 7 months ago. Love the Doha Port design!!! By general_disarray• 8 years 7 months ago. 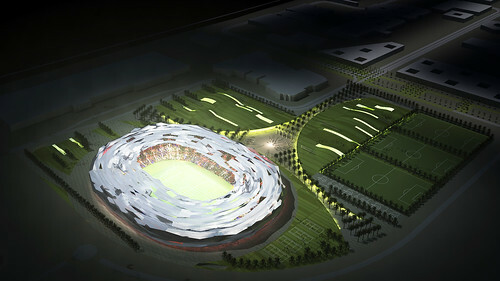 However, after a couple months of collecting dust, like Aspire Zone tower, they will look as ugly as.....well.....the Aspire Zone tower! I read on QL that Qatar had a 9.7 billion QR surplus for the year. Can't they spend a few Riyals to spray down that horrible thing? .....and they say the Jews are cheap!!! By aikon• 8 years 7 months ago. can anyone post us the picture that illustrate the stadium at mid-day time. i wonder how it's looks like at mid-day on summer time. because at night and morning, it's looks good. i think we need to plant a lot of trees surrounding the stadium. real big tree. and water spray also. By KHATTAK• 8 years 7 months ago. 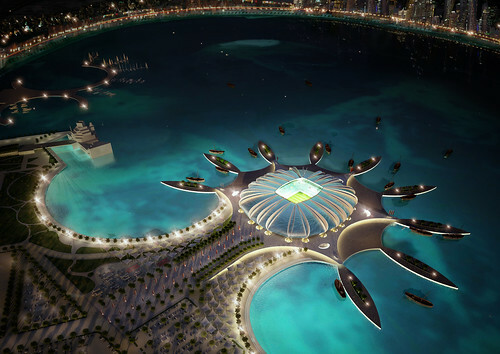 You would park your car anywhere along Corniche and then sail through to the Stadium in a Water Taxi. 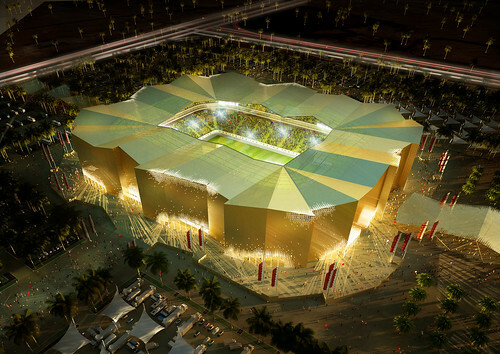 LOL veris I almost posted that Doha port stadium looks the best but stopped short thinking someone will come up asking where is the parking. 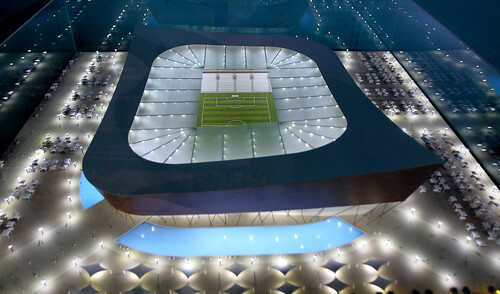 Doha port stadium... and NO... you are not allowed to ask where to park your car!